Suunto have really stolen a march on the other manufacturers when it comes to wrist-watch dive computers. First the Spyder, and then the Stinger, made Suunto the ‘go-to’ brand for a watch-style computer, and they then followed this up with the D6 and the D9, which further cemented their reputation. A handful of other companies have now woken up to the demand for these type of computers, but only the Mares Nemo and the Scubapro Extender come anywhere near the style and feel of Suunto’s products. Other makes are serviceable dive computers, but more resemble a cheap digital than a fashionable sports watch. The only thing which bucked the trend in Suunto’s line-up of computers was the Mosquito. With its all-plastic body and, let’s be honest, cheap looks, it just didn’t sit well with the Stinger, and then later the D6 and D9. Well, now it’s a thing of the past, replaced by a new model – the D4. The D4 features the same dot-matrix display as the D6 and the D9 and, although it has a composite body, thanks to the design – which puts a shiny metal ring around the front – it more readily sits in the Suunto ‘family’ of wrist-watch-style dive computers. Thankfully, it has a similar strap and buckle to the D6, rather than the lousy one fitted to the D9, and because of the similarity between the displays on these three models – which are also much the same as the Vyper2 and Cobra2 – anyone familiar with these will be able to navigate around the D4 with ease. Perhaps the biggest difference between the D4 and the D6/D9 is the extended freediving mode (the D4 also replaces the D3 freediving computer as well as the Mosquito), which offers a separate freediving logbook and three-times-a-second sampling so you don’t miss that all-important maximum depth. One difference between the D3/Mosquito and the D4 is the fact that the new unit doesn’t have a user-replaceable battery. Like the Spyder, Stinger, D6 and D9, it has to be sent back to Suunto. The D4 is appealing to two different markets, the scuba diving fraternity and the freediving brigade, so to this end, I took the unit on a couple of foreign liveaboard assignments, while Stephan Whelan, CEO of DeeperBlue.net, handed out several D4s to participants in one of his regular freediving courses at Portsmouth’s SETT tank. This enabled us to test all of the D4’s functionality. When Suunto announced that the D3 and Mosquito computers were being replaced by a new computer called the D4, the freediving world could hardly wait to find out what the new computer was like. Was it an improvement? Had Suunto listened to the freediving market? Did the new D4 really measure up to the requirements of freedivers around the world? To help answer that question, I took a number of computers down to the Navy’s 30m SETT facility in Gosport, where DeeperBlue.net run beginner freediving courses, and let the instructors and students put the computer through its paces. The review team spent two days utilising the ‘free’ mode on the computer and giving their thoughts. While being mostly plastic, the computer feels nice and solid – a great upgrade from the D3 and Mosquito, which sometimes felt a bit too much like a toy. The dot-matrix display is nice and clear, as well as giving it a much-more-stylish look, and the longer strap means the computer can fit on to larger wrists. Sampling rates on the computer are now three times a second – all-important to a freediver who tends to move through the water a lot quicker than a scuba diver, as well as registering that a dive is in progress very quickly. The D4 adds a new surface alarm, as well as the staple multi-depth and time settings, meaning that while freediving, the wearer needs not need to look at the computer at all during or after the dive – a big bonus to divers wanting to keep in a nice relaxed state. The final function that provided a lot of excitement was the logging functions. While you can grab the Suunto connector cable, the on-board log review functions were very informative and allow you to watch your whole day’s diving in one scrolling dive profile on screen. TheD4 is perfect for everyday wear, as it is lightweight and comfortable,and if you do wear it as a watch, it means you will never accidentallyleave your dive computer in your room! In watch mode, it offers the usual – 12/24 hour display, dual time,date, daily alarm and a stopwatch. In dive mode, it shows (either allthe time or at the push of a button) your current depth, maximum depth,current time, nitrox mix, dive time, water temperature anddecompression time. It also has audible and visual alarms for dive timeand depth. As it uses Suunto’s Deep Stop RGBM algorithm, it shows fulldecompression data, and you can choose whether or not to activate thedeep stop function. It also gives an automatic three-minute countdownonce you reach your 5m safety stop. The D4 can handle a single nitrox mix from 21 per cent right up to50 per cent, which is more than enough for recreational divers, and thePPO2 limit is adjustable from 0.5 to 1.6 bar. As with all Suunto divecomputers, if you complete a dive in ‘nitrox’ mode, it will not allowyou to return to ‘air’ mode. If you want to do a dive on air afterusing a nitrox mix, you just set the nitrox to 21 per cent. This is toprevent accidental setting to ‘air’ mode while using nitrox mixes. If you are in the habit of logging your dives, the D4 has a 240-hourprofile and logbook memory, and you can transfer your dive data to yourPC with the optional Dive Manager software. You can find out more information about the D4 at the Suunto Website.  You can purchase a D4 from the DeeperBlue.net Shop delivered worldwide.